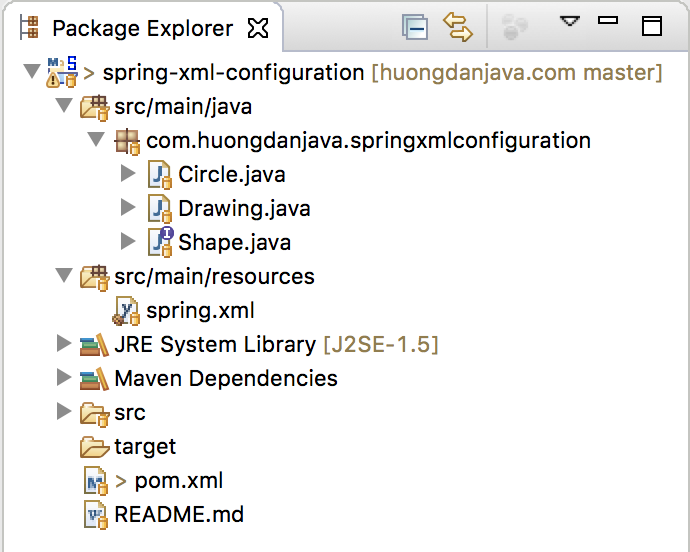 In this tutorial, I will guide for all of you the basic way to initial objects in Spring container, that is: using the XML file. I would like to work with the example which we discussed in the tutorial about Dependency Injection. With Drawing object, because this object depends on Circle object which we already created it in Spring container, so we need a way to inject Circle object into Drawing object. As you can see in the code of Drawing class, we can inject the Circle object into Drawing object by 2 ways: by a constructor and by setShape() method. In Spring framework, how can we do that? You can choose the way you prefer base on your application.